Another year has come and gone here at UNH Manchester! We just wanted to recognize our group of students who have recently graduated or will be graduating this summer. And congratulations to our first MS IT graduate, Sunitha Raghurajan! Computing Technology @ UNH Manchester Blog is Live! The blog is the place where students in the BS CIS and MS IT degree programs at UNH Manchester tell their stories, are up to date with news and discoveries in their field, find out about important events, celebrate their achievements, and keep in touch with faculty, alumni, employers, and community partners. Are you involved in an in interesting project? Have you learned or discovered something exciting? Is there a news we should know about? Is there an event that awaits our participation? Join the unhcomptech team and let’s blog, tweet, linkedin, flikr, youtube, facebook, google+, and any other social networking way to show and tell about Computing Technology at UNH Manchester. The Computer Information Systems (CIS) Program at UNH Manchester gave its first “Karla Vogel Excellence in CIS” award in May 2012. Bethany Ross, a freshman in the program, was presented with the award for her academic excellence. Ross is a resident of Derry and a graduate of Pinkerton Academy. Ross’ professional experience included a summer-long project for the NH High Tech Council, a year of system administration work in college’s CIS lab, and 150 hours of internship at the Greater Manchester Professional Development Center. Bethany’s internship work was critical to a successful rollout of Google Apps for education in four Manchester school districts. The “Karla Vogel Excellence in CIS” award recognizes an undergraduate student who has demonstrated consistent achievement in the Computer Information Systems major and overall academic excellence. The award was named in honor of Professor Karla Vogel who created the CIS major eight years ago, advised over 150 students and set the bar high for the CIS graduates. Sabin said, “To honor Professor Karla Vogel’s exceptional contribution to the College and the very existence of a successful academic degree program, the program’s award is being named after her and from now on reads “Karla Vogel Excellence Award in CIS”. Vogel retired in January 2012 after 26 years of teaching at UNH Manchester. David Meehan, a sophomore in the computer information systems program, was named a 2012 John G. Winant Fellow by UNH’s Carsey Institute in May 2012. The fellowship is in support of his summer internship with the YWCA New Hampshire. The internship project will complete the implementation of a web application with a database backend to provide donation management services to YWCA staff. The Carsey Institute received 35 applicants for this extremely competitive fellowship. 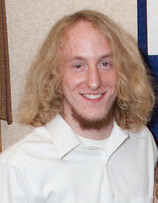 Meehan was one of three students who received the award. The Winant fellowship program was established at the University of New Hampshire in 1982 in memory of the late New Hampshire governor John G. Winant to encourage the professional development of undergraduates with a strong commitment to public service. The fellowship pays a stipend for a summer internship with a New Hampshire nonprofit organization or government agency, recognizing exceptional students with an interest in the nonprofit and public sectors and providing valuable work experience in the field of public service. Chris Reekie, right, is a senior in the computer information systems program and works in the Computing Technology Department. Kristen Tejada was named UNH Manchester’s 2012 Student Employee of the Year at a reception on the college’s campus in April. Tejada works in the UNH Manchester Center for Academic Enrichment, Academic Counseling Office, and the First Year Experience Office. Chosen from a pool of exceptionally motivated and competent student workers, Tejada was selected based on the unique contributions she’s made in each department. One of Tejada’s nominators wrote, “Not only does she perform her duties with excellence, she goes above and beyond even our highest expectations. Moreover, she does so while achieving her own exceptional scholastic success, participating in extra-curricular activities, and serving as a role model for all students.” Tejada is a business major and graduates in December 2012. Other student nominees included Ryan Pitts and Chris Reekie. Pitts is a junior in the business program and works in the First Year Experience Office. Reekie is a senior in the computer information systems program and works in the Computing Technology Department. The UNH Manchester URC conference, supported by Bellwether Community Credit Union, will include more than 90 UNH Manchester students. Their work includes short films, screenplays, oral and poster presentations and engineering technology senior project presentations. Winners of the URC will be announced at the annual Convocation Ceremony held on May 15, 2012. FIRST® (For Inspiration and Recognition of Science and Technology) will receive the 2012 Granite State Award from the University of New Hampshire at Manchester. FIRST has inspired youth and adults from Greater Manchester, the state, across the nation and the world to discover the excitement of science and technology. The Granite State Award recognizes these significant achievements, service, and/or contributions to the State. Jon Dudas, President of FIRST, will accept the award at University of New Hampshire at Manchester’s 27th annual commencement proceedings on Thursday, May 17. The FIRST mission is to inspire young people to be science and technology leaders by engaging them in exciting mentor-based programs that build science, engineering and technology skills. FIRST robotics programs inspire innovation and foster live skills including self-confidence, communication, and leadership. Few organizations have so successfully fulfilled their missions and contributed to the youth of New Hampshire and the nation as FIRST. Founded by Dean Kamen 20 years ago, the nonprofit organization has been devoted to helping youth aged 6 to 18 develop a passion for science, engineering, technology, and math. FIRST began with 28 teams in a New Hampshire high-school gym. The 2011-2012 FIRST season attracted more than 26,800 teams, close to 300,000 youth and more than 100,000 mentors, coaches, and volunteers from more than 60 countries. The annual FIRST programs culminate in a the annual FIRST Championship a celebration where teams win recognition, gain self confidence, develop people and life skills, make new friends, and perhaps discover an unforeseen career path. Every participant comes to understand the meaning of the two guiding values of FIRST: Gracious Professionalism(TM) and Coopertition(TM). Through Gracious Professionalism(TM), students learn and are also fierce competitors. They treat one another with respect and kindness and enjoy the satisfaction of knowing they have acted with integrity and sensitivity. The second value, Coopertition(TM), produces innovation and is founded on the philosophy that teams can and should help and cooperate with each other even as they compete. The outcomes of a FIRST experience tell a story of achievement. A recent study of participants has found that FIRST students are more than three times as likely to major in engineering. They are approximately ten times as likely to have had an apprenticeship, internship, or co-op job in their freshman year and are significantly more likely to expect to achieve a post graduate degree. FIRST participants are more than twice as likely to expect to pursue a career in science and technology and nearly four times as likely to expect to pursue a career specifically in engineering. FIRST participations also pay it forward as they are more than twice as likely to volunteer in their communities. Over the years the FIRST organization and participants, coaches and mentors have contributed to the lives of the people and organizations in Manchester, the State, and the nation and reflect the high standards of the Granite State Award. UNH Manchester’s 27th Commencement proceedings will be held in Arms Park in Manchester’s Millyard, behind the UNH Manchester campus, beginning at 6:00 PM on Thursday, May 17.